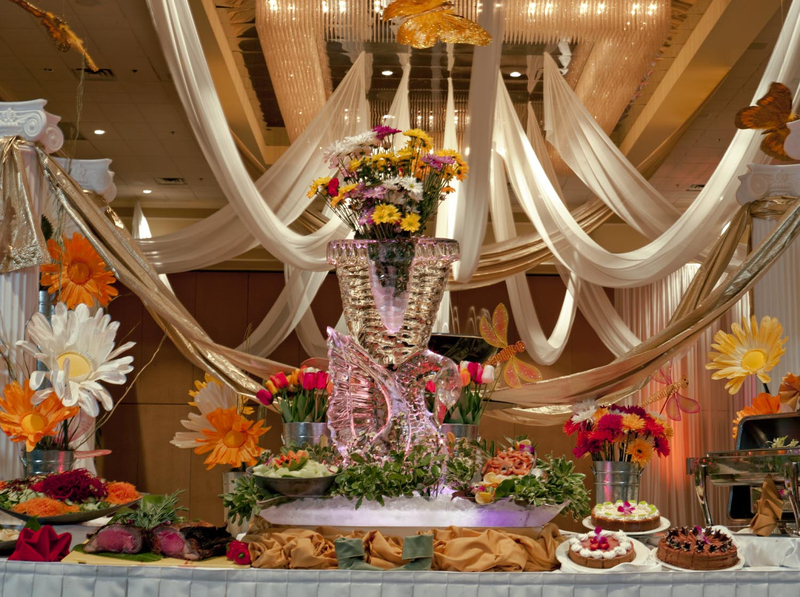 Rosen Centre’s extravagant Mother’s Day Buffet, one of four Mother’s Day weekend dining options at Rosen Hotels & Resorts in Orlando. Mothers should be celebrated every day of the year, but especially on Mother’s Day, offering time with family to be pampered and to be made to feel like a queen. 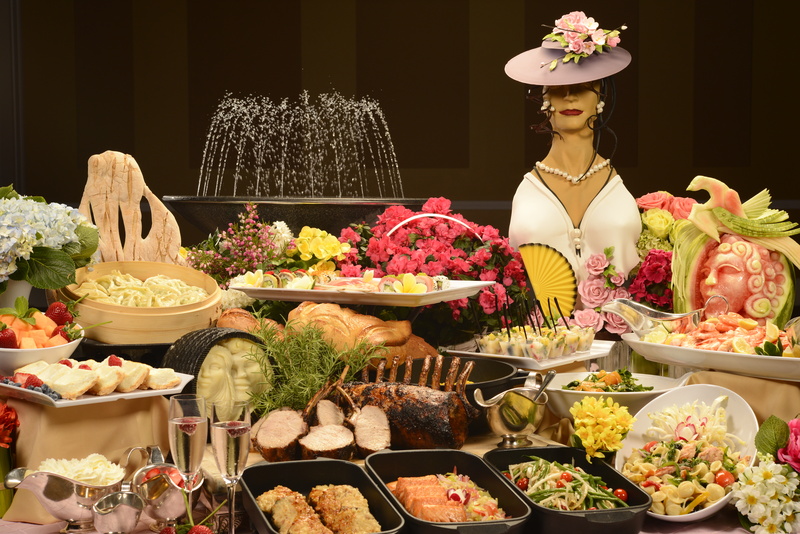 The hotels of Orlando’s Rosen Hotels & Resorts have just the right gift for a special woman: a bountiful buffet brunch filled with all of her favorites and some special surprises. 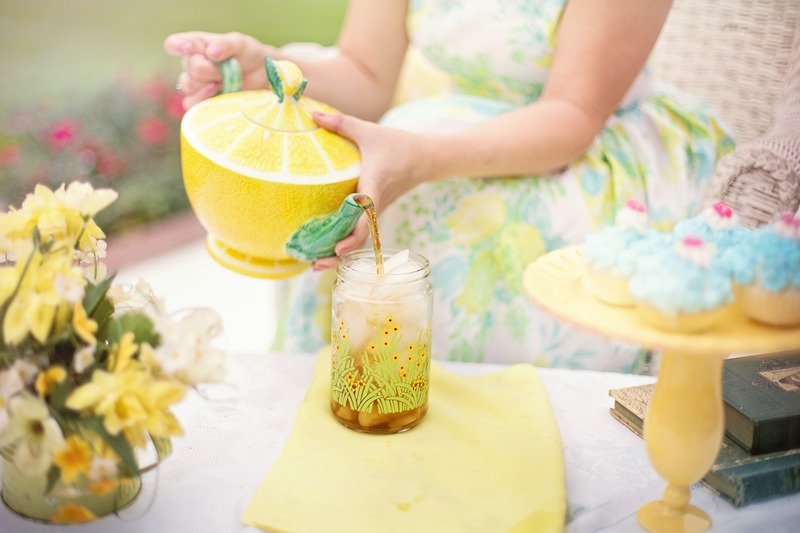 Moms will enjoy a delightful afternoon out with a special tea and a ballet performance by the Elizabeth Parsons School of Dance in Windermere, FL. She will love the themed tea party featuring a tasty assortment of pastries and homemade jam, finger sandwiches of cucumber and cream cheese, chicken salad, ham salad, as well as a fresh fruit display and vegetable crudité, and delicious sweets like strawberry shortcakes, fruit tarts, fresh baked brownies and strawberry with yogurt dip. A selection of hot tea, coffee, iced tea, and pink lemonade will be available. Guests will receive a flower for Mom and a keepsake craft for children. Saturday, May 11, 2019, from 2-4 p.m at the Clarion Inn Lake Buena Vista, 8442 Palm Parkway, Orlando, FL 32836. $15.95 plus tax and gratuity for adults; $9.95 for children ages 4-11. Give Mom the gift of relaxation this Mother’s Day with dozens of decadent dishes, a waffle and omelet station, savory carving stations, plus complimentary champagne, mimosas. The buffet includes specialties such as Chef Yoshi’s California rolls & spicy tuna sushi rolls and Chef Tello’s tapas chicken slider, as well as seafood stations with Jonah crab claws and spiced shrimp boil. Entrée selections include beef tenderloin tips with peppercorn cream sauce, pan seared chicken with lemon and garlic and steamed mahi-mahi wrapped in banana leaf with curry cream. Leave room for sweets like Pina Colada cheesecake, chocolate rumchata torte black forest cake, and key lime pie, along with a chocolate fondue with strawberries and pineapple. Rosen Centre makes celebrating Mom easy and delicious. Sunday, May 12, 2019, from 11 a.m. to 7 p.m. at the Rosen Centre Hotel, 9840 International Dr., Orlando, FL 32819. $50.95 adults, $19.95 children 4-12, both plus service and sales tax, and children 3 and younger are free. Pamper a special Mom in the way that she deserves by treating her to the wonderful Mother’s Day brunch at Café Osceola at Rosen Shingle Creek. She’ll feel like a queen surrounded by her family, indulging in delectable food with choices that range from a seafood station, a traditional carving station, broiled mahi-mahi and bourbon BBQ glazed pork chops, and coffee and brown sugar-crusted beef brisket, as well as Asian delights such as dim sum, Yakisoba noodle stir fry and Banrai sushi, all in a gorgeous display of culinary pleasures. Of course, there’s also a kids’ station with family favorites. Breakfast pastries and decadent desserts and a chocolate fountain complete this amazing buffet. Adults also will enjoy unlimited champagne and mimosas. Reservations are required so book now. Complimentary valet parking is included and there is a 25% discount for Florida residents. May 12, 2019, from 10 a.m. to 6 p.m. at the Rosen Shingle Creek, 9939 Universal Blvd., Orlando, FL 32819. $69.95 for adults, $29.95 for children ages 4-11, plus tax and service charge. Children 3 and under are free. 25% discount available for Florida residents. A mother’s love knows no limit, so treat her to a decadent Mother’s Day brunch at Rosen Plaza, where she will sip complimentary champagne and mimosas while choosing from a bounty of delicious dishes. She’ll love a buffet of fresh pastries, made-to-order omelets, as well as seafood, and savory dishes like seasoned chicken and grilled steak. The dessert bar will tempt her with tasty treats like Mom’s caramel apple pie, Key Lime pie, cheesecakes, red velvet cakes and a soft-serve ice cream bar. 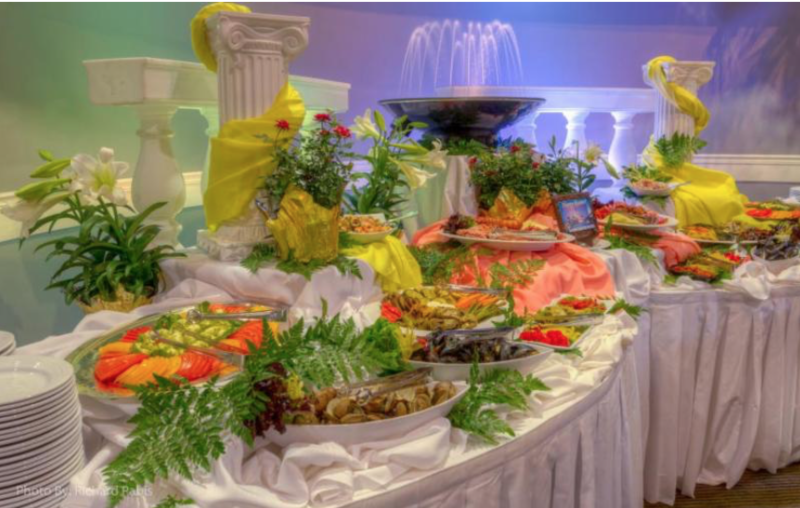 Reservations are recommended for this popular buffet, so call today! Sunday, May 12, 2019, from 11 a.m. to 3 p.m. at the Rosen Plaza Hotel, 9700 International Dr., Orlando, FL 32819. $46.95 for adults in advance, $48.95 at the door, $18.95 for children ages 4-11; children younger than 3 are free. 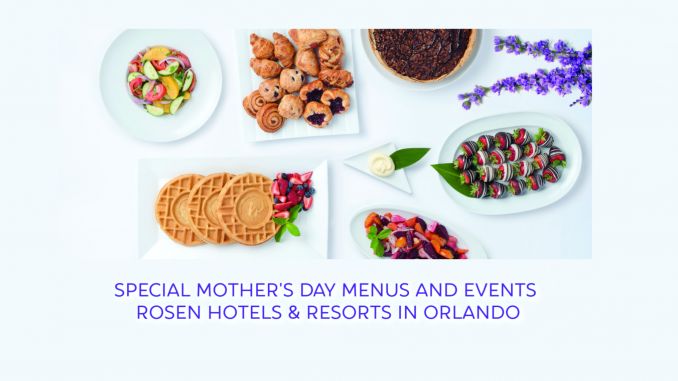 Hey Buddy!, I found this information for you: "Special Mother’s Day Menus and Events Rosen Hotels & Resorts in Orlando". Here is the website link: https://www.trippinwithtara.com/special-mothers-day-menus-and-events-rosen-hotels-resorts-in-orlando/. Thank you.